We'll Add your Club's Info at NO COST. 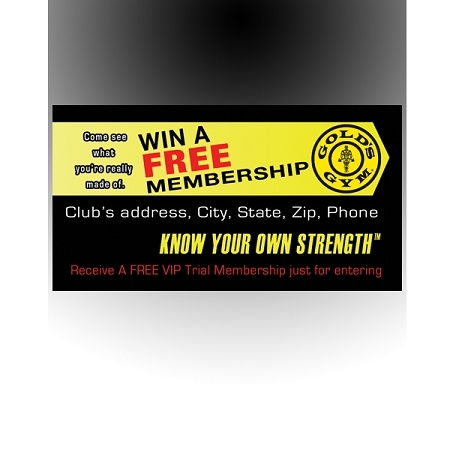 Printed on 5.5"w x 3"h photo gloss decal stickers that adhere to the bottom front of your pre-designed Gold's Gym Contest Box. Well balanced PRE-DESIGNED GOLD'S GYM box with a slanted top. Contest box provides maximum visibility with the least amount of counter space and sets up in seconds. 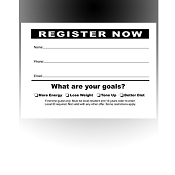 We can add your club's info to the bottom front of the box at no cost. more(printed on a glossy decal that adheres to the bottom front of box) or design it yourself and let us print it. Artwork, entry pad, pen are sold separately. All sales final.